Hi, I’ve just bought a Mayfield chassis for spares and repairs complete with gearbox. 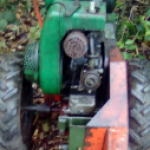 On closer inspection, I find that it does not have the usual Albion gearbox but one made by “Dashwood” and it only has 2 speeds – high, neutral and low. Has anyone else heard of this or can throw any light on it please? Thank you to both of you, sound advice from both angles, most appreciated. Hi, I’ve tried to pay mine, but unsuccessful. Clicked on single membership, but it does not take you anywhere. Also does not advise how much. Please can someone point me in the right direction, thank you. Does anyone know of anywhere which refurbishes Albion gearboxes – it’s something that I really don’t have any confidence in. I’ve just bought this machine, started stripping it back & the gear lever is quite slack making the selector difficult to go through the gears. Any suggestions will be gratefully received. Thank you.